The United Kingdom is an excellent place for overseas students who wish to come here to expand their knowledge and gain from the rich culture and traditions of this country. The educational system here is very robust and provides international students with ample of opportunities to grow at an academic, professional and personal level. Studying in one of the best and renowned colleges and institutions of the UK enables a student to acquire an internationally recognized degree which enables him or her to stand apart in a crowd and betters their chances of getting a good job in the future. 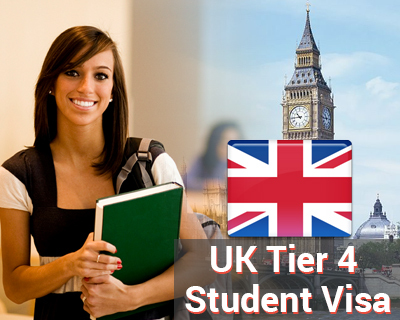 If you are thinking of being a part of UK’s best educational institutions, you need to apply for a UK Student Visa first. If you have been offered a full-time course in any of the institutions of the country, you can be eligible to obtain UK Student Visa. A study in UK equips you with world-class knowledge and an internationally recognized degree, taught by some of the best faculties using state-of-the-art technology. Overseas students who are interested to apply this visa, can fill out our Enquiry Form, so our visa expert will get back to you.